Today, more people use their mobile devices to order from restaurants than any other local business. This means to stay competitive, restaurants must have a strong mobile presence that not only reaches out to potential new customers, but helps engage and drive repeat business with loyal customers that are on the go. How many times have customers called a restaurant or pizzeria and heard this phrase? After what seems like an eternity to the hungry customer, when in reality it may just be a few seconds. Often the customer feeling rushed to place the order hearing the hurried voice of the restaurant staffer. While being put on hold for tech support is rather expected, it becomes a real nuisance when calling a restaurant to place an order when you and your family are hungry. This places an additional dimension of frustration and dissatisfaction when it comes to ordering food. Finally, when you get your delivery and look over the food, you see to your horror that it has onions on it and little Tommy hates onions on the pizza. The delivery person and you go over what to do next and most of the time there is a compromise getting a partial or full refund while you have to pick the onions off the food. All it takes is one bad incident for you to start thinking about calling other restaurants when you want delivery. For restaurants, this is one of the big issues that can cost them customers in the long run. Improving your carry out and delivery service is one of the best ways to retain customer loyalty and is a must for pizza parlors, sandwich shops, and other places that depend heavily on their delivery and carry out services. This is where incorporating new mobile marketing ideas can really help in creating a better, friendlier, and more responsive atmosphere when it comes to serving your customers. For restaurants, customer service is one of the big issues that can cost them customers in the long run. Improving your carry out and delivery service is one of the best ways to retain customer loyalty and is a must for pizza parlors, sandwich shops, and other places that depend heavily on their delivery and carry out services. Instead of having to face bad reviews, making refunds, and losing customers over the slow, tedious nature of your current system, you can implement the right mobile marketing ideas that will benefit both you and your customers. The good news is that with so many people who have access to the web on their mobile devices or computers, you can better serve your customers without having them wait on the phone and greatly reducing any mistakes made in the ordering process. There are a number of reasons why you should add a simple, easy to navigate website for customers who prefer using their mobile devices beyond providing better services. Mobile ordering is an entirely different experience compared to trying to talk to a staffer in a crowded, noisy restaurant. By going online on mobile device, they can place the order at their convenience so that customers can think over what they want and make the selections that they will enjoy. Basically, this means fewer calls to your restaurant as more orders come in online. The advantage for customers is that they do not have to wait or try and talk to you or your staff person over the noise of your busy restaurant. Instead, they can use your online ordering system to order what they want which will instantly notify you and your staff that a delivery or carry out is needed. 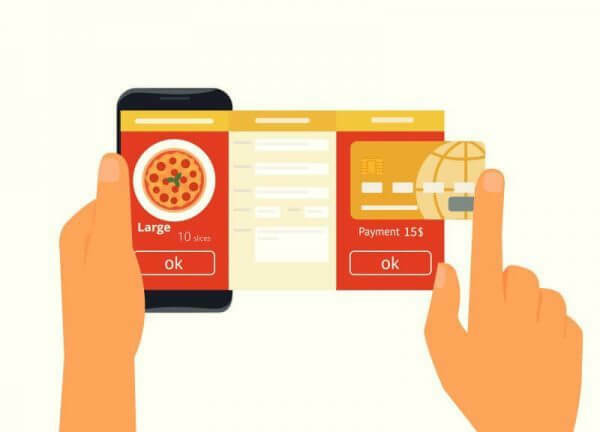 Arguably the best reason to implement effective mobile ordering for your restaurant is that this system greatly reduces the errors which can cost you refunds and customers. Because the customer selects what they want and can double check before finishing their order, this greatly reduces misunderstandings and gets the order right the first time. While mistakes can never be fully eliminated, you have significantly reduced the chance that they will occur. Because you have made the ordering process easier, customers are now more likely to make more orders from your restaurant. This is because all they have to do is visit your restaurant website and they can create the order in just a few moments. The number of mistakes or misunderstandings is considerably reduced and you improve your bottom line. It’s little wonder that more restaurants are employing mobile marketing ideas into solving one of the oldest issues that they face when keeping customers. Because customers who use mobile devices are more likely to leave positive reviews when getting good service, your image improves overall which can attract new customers. This means that you broaden out your customer base for every positive review that is posted about your services. Your website can be accessed by a virtually unlimited amount of customers at the same time. Compare that to how many phone lines you have to take orders. This means that your customers are spending time making orders to your restaurant and not having to wait on hold for a staffer to get to them. This increases customer satisfaction and improves your profits considerably. With fewer calls coming into your restaurant, this means that you can treat each customer better when they do phone in an order. If you need to put them on-hold, a message can tell them about your website or mobile app where they can make the order. This means better one-to-one when talking to customers which improves overall customer service. You can also use your website or mobile app for customers to make reservations which can also save time and improve your overall services to them. By utilizing the best in mobile marketing ideas, you can improve the loyalty that your customers feel to your restaurant and even create new customers as a result. By creating a mobile app and website accessible to customers who use mobile devices you can build the customer loyalty needed for your business to really thrive. Tell us how your mobile ordering is helping improve your customer experience. Are you seeing more positive reviews and overall increase in customer satisfaction.